The northern gannet (Morus bassanus). Photo by Alan Wilson. The Taxon of the Week post is a day late this week because, of course, yesterday was a public holiday here in Australia (as far as I can make it out, it seems a bunch of poms were so glad to see land after six months in a leaky boat [trying hard to keep afloat] that they've been celebrating ever since - the people already here may have had a different view of matters, but nobody ever asked them). 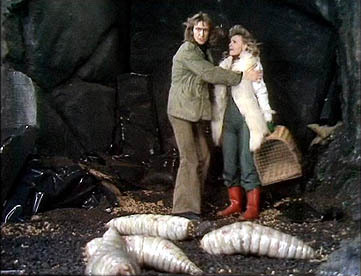 Not only is it late, but it'll be short, too, because the Taxon of the Week is the Sulidae, which has been covered only recently by Darren Naish (here and here) with all the innuendo that is unavoidable when dealing with a group of birds going by the common name of "boobies" (though he did omit mentioning the close connection between boobies and shags). The Sulidae are the boobies and gannets, a small but fairly cosmopolitan assortment of seabirds. Among the living sulids, the gannets form the genus Morus, and most boobies belong to the genus Sula. 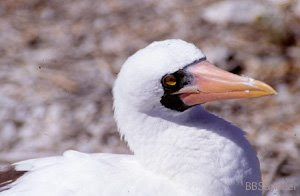 The exception is Abbott's booby (Papasula abbotti) which was originally included in Sula, and is still commonly referred to as such (at least in popular sources), but sits on the gannet rather than the booby side of the divergence between the two main genera (Friesen & Anderson, 1997). The distinctions between the three genera are not huge, and some authors in the past have referred to all living sulids as Sula. 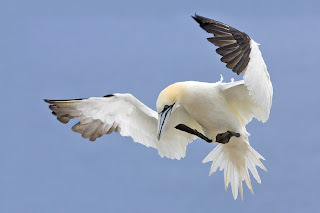 In the recent fauna there is a clear geographical division between gannets and boobies - Morus is found in the northern and southern temperate zones while Sula and Papasula are tropical or subtropical - but this does not appear to have always been so in the past. The Pliocene Pisco Formation of Peru has provided species assigned to both Sula and Morus (Stucchi & Urbina, 2004). A sulid on the Galapagos Islands. This photo comes from here, where it is identified as a masked booby (Sula dactylatra). I don't think it is - the orange beak identifies it as a Nazca booby (Sula granti), a species that was only distinguished from S. dactylatra in 1998 (Pitman & Jehl, 1998). Don Roberson's site has a photo by Bob Pitman of the two species standing side by side to show the difference. Eight fossil genera have been assigned to Sulidae (as well as fossil species of Sula and Morus*) - the Eocene Masillastega and Eostega, the Oligocene Empheresula, the Miocene Microsula (now a synonym of Morus), Miosula, Enkurosula and Sarmatosula, and the Pliocene Palaeosula and Ramphastosula. The Cretaceous Elopteryx did a stint as a close relative of the sulids, but is now regarded as a dinosaur of the Troodontidae and not even a bird (for most definitions of the word "bird"). Eostega lebedinskyi is known from a single mandible that was recently redescribed by Mlíkovský (2007), who reasserted its sulid nature (past authors have disagreed). Masillastega rectirostris is known from a skull from the famed Messel formation, and differs from living sulids in having a comparatively long beak (Mayr, 2002). It is also distinct in having seemingly inhabited a freshwater environment, while all modern species are exclusively marine. Mayr (2002) only tentatively regarded Masillastega as a sulid, and it may be a stem-member of the family (Mayr, 2005). Mlíkovský (2007) synonymised the two Eocene genera on the basis of a lack of significant differences between them. *Apart from a single taxon described as a subspecies of the modern species (Papasula abbotti costelloi [ha ha]), there don't appear to be any fossil species assigned to Papasula. Considering the only recent distinction of Papasula from Sula, one wonders whether any fossils of the former are masquerading as the latter. Empheresula arvernensis is represented by a pelvis from France (the original material also included a sternum, but Lambrecht later indicated that the sternum was not even sulid - Mlíkovský, 2002). The French Oligocene also provided Sula ronzoni, which, if correctly assigned (which seems to be debatable*), would suggest that the living sulid lineages had diverged by that point (Friesen & Anderson, 1997, used a molecular clock to estimate a divergence time for Sula vs. Morus/Papasula of 23 million years ago, which is also consistent with this, but the age calculation methods used by Friesen & Anderson can only be described as [ahem] dated). The European Miocene genera Enkurosula and Sarmatosula are both known from isolated humeri, and are both doubtfully distinct from Morus (Nelson, 2006; Olson, 1984, suggests that Microsula (=Enkurosula) pygmaea may be conspecific with the contemporaneous Microsula avita of Maryland in the United States, which has itself been since reassigned to Morus), as are the Californian genera Miosula and Palaeosula. *I'm rather confused here. Nelson (2006) notes that Sula ronzoni has four notches on the sternum, and indicates that this would place it on the sulid stem. However, Mlíkovský (2002, 2007) states that the type material of S. ronzoni is an incomplete pelvis, so what is Nelson talking about? The wierdest of all sulids, though, is the Pliocene Peruvian Pisco Formation's Ramphastosula ramirezi. The genus name means "toucan-booby" and is undeniably appropriate as Ramphastosula, instead of having a dagger-like straight beak like all other sulids, had a deep beak with a distinct arch as shown in the reconstruction above from Stucchi & Urbina (2004). The skull of Ramphastosula is also more robust than in other sulids, seemingly to support the enlarged beak. Ramphastosula was obviously pursuing a different lifestyle to other sulids, as it looks as if it would be ill-suited to catching fish by plunge-diving. Stucchi & Urbina (2004) suggest that its robust skull indicates greater diving ability than other sulids, so perhaps Ramphastosula was more inclined to pursue its prey underwater than its modern relatives. Unfortunately, no post-cranial material is known as yet for this species. Friesen, V. L., & D. J. Anderson. 1997. Phylogeny and evolution of the Sulidae (Aves: Pelecaniformes): a test of alternative modes of speciation. Molecular Phylogenetics and Evolution 7 (2): 252-260. Mayr, G. 2002. A skull of a new pelecaniform bird from the Middle Eocene of Messel, Germany. Acta Palaeontologica Polonica 47 (3): 507-512. Mayr, G. 2005. The Paleogene fossil record of birds in Europe. Biological Reviews 80: 515-542. Mlíkovský, J. 2002. Cenozoic Birds of the World. Part 1: Europe. Ninox Press: Praha. Mlíkovský, J. 2007. Taxonomic identity of Eostega lebedinskyi Lambrecht, 1929 (Aves) from the middle Eocene of Romania. Annalen des Naturhistorischen Museums in Wien 109A: 19-27. Nelson, J. B. 2006. Pelicans, Cormorants, and Their Relatives: The Pelecaniformes. Oxford University Press. Olson, S. L. 1984. A brief synopsis of the fossil birds from the Pamunkey River and other Tertiary marine deposits in Virginia. In Stratigraphy and Paleontology of the Outcropping Tertiary Beds in the Pamunkey River Region, Central Virginia Coastal Plain: Guidebook for the Atlantic Coastal Plain Geological Association 1984 field trip (L. W. Ward & K. Krafft, eds.) pp. 217-223. Atlantic Coast Plain Geological Association. Pitman, R. L., & J. R. Jehl, Jr. 1998. Geographic variation and reassessment of species limits in the "masked" boobies of the eastern Pacific Ocean. Wilson Bulletin 110: 155-170. Stucchi, M., & M. Urbina. 2004. Ramphastosula (Aves, Sulidae): a new genus from the early Pliocene of the Pisco. Journal of Vertebrate Paleontology 24 (4): 974–978. Oh well, there goes the planned third part of my sulid series. Never mind. I dunno, I may still cover them, as there are a few additional interesting things to add. Elopteryx: Gareth Dyke and I had a go at identifying the type material in 2004. It might be from a troodontid, but the possibility does exist that it was a large non-ornithuromorphan pygostylian. I cannot resist pointing out the duplication of generic names here: Morus being a Gannet - in birds; but a Mulberry, when dealing with plants. I believe the new rules of nomenclature would prevent this happening these days, but old names are still "valid". I'm sure you could drag more out of the subject than I could. For a start, I barely touched the fossil sulids assigned to the recent genera. I really wanted to work in a mention of Sula guano, just because I love the name, but the post was long enough as it was. So Elopteryx may yet be a bird? Nevertheless, I'm guessing that it isn't going to be worming its way back into the crown group any time soon. Denis - actually, the reason mulberries and gannets are able to have the same names is because the fall under different nomenclature codes. The same name can refer to different organisms in the Botanical and Zoological codes, and there's quite a long list of such names (another birdy one is Prunella, which is both a genus of sparrow-like birds and one of herbs in the mint family). The only code which doesn't allow this is the Bacterial Code, which doesn't allow new names for bacteria that have already been used for animals or plants. There are still a few cases of identical names between other organisms and bacteria where the bacterium was named first - for instance, Bacillus is a rod-shaped bacterium and a stick insect. I knew I would get a good answer from you. I was racking my brains for other examples, but could not think of any more (off the top of my head). I am sure there are lots - but I certainly am familiar with Morus (as both bird and plant). I am familiar with Prunella as a plant, but not the insect. - Cotinis - green june beetle (Scarabaeidae) and smoke tree (Anacardiaceae). - Pieris - cabbage butterfly (Pieridae) and Japanese andromeda (Ericaceae). - Pavonia - emperor moth (Saturniidae) and swampmallow (Malvaceae). I guess "boobies" is also a homonym! There are hundreds of examples of cross-code homonyms, e.g., Gastonia the ankylosaurian dinosaur genus and Gastonia the ivy genus. The PhyloCode, which is intended to cover all organisms, has a recommendation (Rec. 10D) for dealing with such homonyms. Basically, if those genera were converted to clades, then either the mulberry would be Phyto-Morus or the gannet would be Zoo-Morus (depending on which Morus was converted to a clade first). Butterflies are a rich source of cross-code homonyms, because many butterfly genera have been given the names of classical goddesses and nymphs, and naturally those have also been popular names for flowering plants. IIRC, the genus Pieris that Ted referred to includes the only example of a species name that refers to both an animal and a plant, Pieris japonica. I know about the artificiality of Linnean ranks. Still, I don't get the impression that bird families seem to be much more inclusive than mammal families (in range of morphologies included), and -- utterly superficial, maybe just wrong, impression -- assignment of Eocene types to extant families seems for common with birds than with mammals. Is this totally off? While yes, Linnaean ranks are artificial, I don't think that it's entirely without interest to compare them across taxa if what you're interested in is comparing the differing biases of workers in different groups. I actually get the opposite impression - that bird researchers tend to be more restrictive than mammal researchers as to what they call a "family" (I'm thinking of examples like Cercopithecidae and Bovidae here). Mind you, I don't think that the trend is necessarily constant even among different groups of mammals and birds - Passeriformes, for instance, seem to have a much more "divided" classification than non-passerine birds. I do agree that Palaeogene birds seem more likely to be assigned to modern "families" than Palaeogene mammals, and I think that this does reflect some real events. First, mammals seem to have undergone a fairly significant amount of faunal turnover, with more Palaeogene lineages going extinct and being replaced by unrelated taxa (creodonts to carnivores, for instance). Birds, not so much, with the significant exception of the extinction of large chunks of the small bird assemblage known from Europe in the Eocene after the arrival of the Passeriformes. The other possible reason is that birds have been more morphologically conservative through their Cenozoic history than mammals. The demands of flight being what they are, there's less scope for variation. It suddenly occurs to me that I may have been making something of an invalid comparison in my last comment. Compared to the mammalian fossil record, the avian fossil record is more heavily skewed towards aquatic taxa. However, it was in the terrestrial environment that the Palaeogene-Neogene transition had the most effect. Therefore, I'm not sure whether the apparent lower faunal turnover for birds than mammals is reliable, or whether it is potentially a artifact of the fossil record as aquatic taxa might be expected to show less turnover about that time in the first place. I love the boobies, organized conservation in Belize all started with protecting the boobies. My son ran into an interesting learning moment at ITIS when he was identifying the birds. The Northern Gannet is currently listed as valid both as Morus bassanus and Sula bassanus. Oughtn't the combination be Sula bassana? For the entirely unscientific reason the bird is called "sula" in Swedish, I would prefer it in this genus. I have Sula bassana on record, though it depends whether "bassanus" is an adjective or a noun in apposition. If you read through the comment's on Darren Naish's post on gannets, you'll find a brief summary of the complicated (and more than a little confusing) history of how the name Sula came to be attached to the wrong bird. I already did - I'm the Andreas Johansson who posted in that thread. 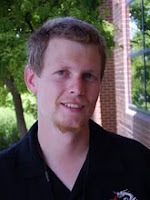 I suppose there's no particular reason that I should post under my old (not quite paleozoic) blogger handle here when I use my real name on Tet Zoo, Palaeos.org, etc.